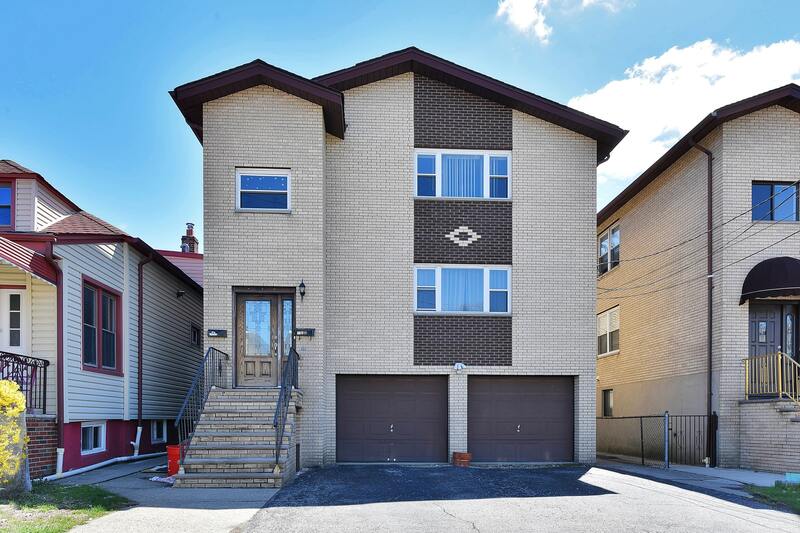 Welcome to this top/bottom 2-family home with 3 bedrooms and 2 full baths in each unit. Large eat-in kitchen, living room and dining room complete each unit. All hardwood floors throughout, central air and 2 car attached garage and space for 2 more cars in the driveway. Perfect for investors looking to rent or for extended family. Quiet street close to parks, schools, shopping and NYC transportation.